all parts are thoroughly tested, and all problems are weeded out well in advance of installation. 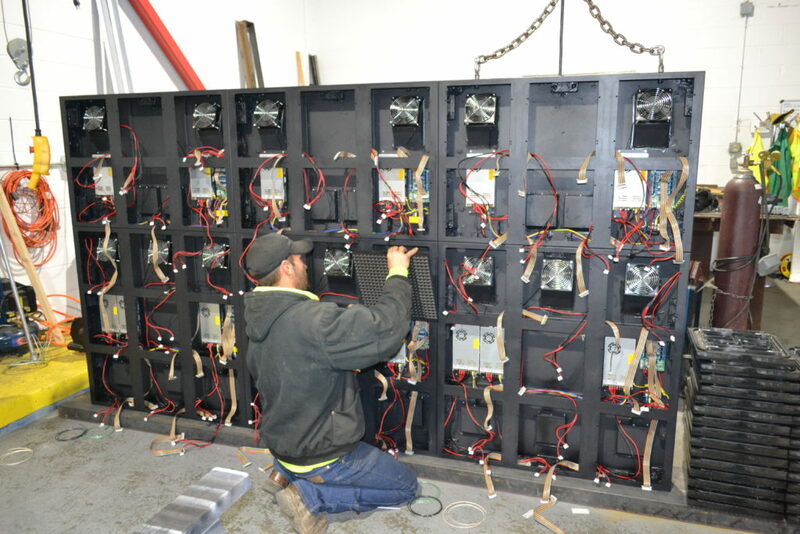 We assemble our LED panels into cabinets that correspond to our clients' finished product requests. These outer cabinets are powder-coated to ensure protection against the elements to which they'll be exposed for many years; they're equipped with internal fans for cooling, and are properly ventilated while ensuring rain nor snow is able to make its way inside. Power supplies are then installed, along with the electronics: the information processing card (send card), the information gathering card (receive card), and the information distribution card (hub card). The send card sends image data from a live source or from a program to each of the receive cards, which gather and prepare the data based on calibration; from there, the data goes from each receive card to a hub card, which is responsible for sending the data to the panels. Once a display is completed and the surface issues are weeded out, we bring the display to a 72-hour (minimum), software-monitored testing period. 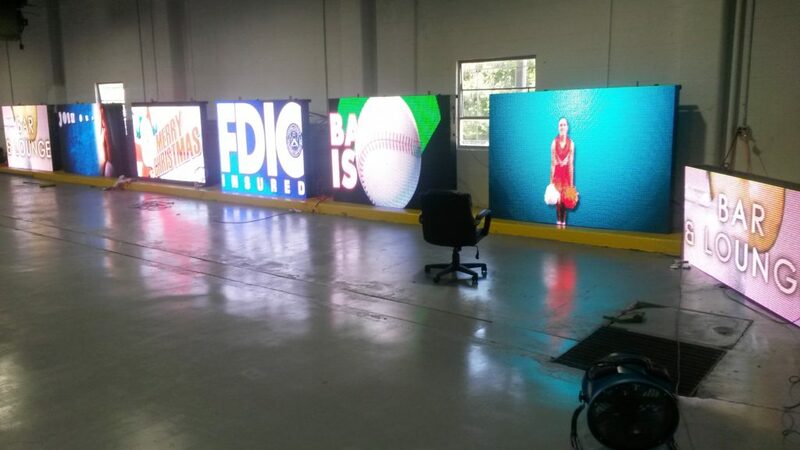 Videos and images exactly like those our clients will be using are played on the signs for a bare minimum of 72 hours ahead of installation, giving us time to see what (if any) issues might crop up and time to resolve them ahead of installation. Past 72 hours, typical issues are unlikely to occur for a year or more, and so we consider the displays installation-ready. Curious to know how you're supported for the first five years and beyond? Click here.